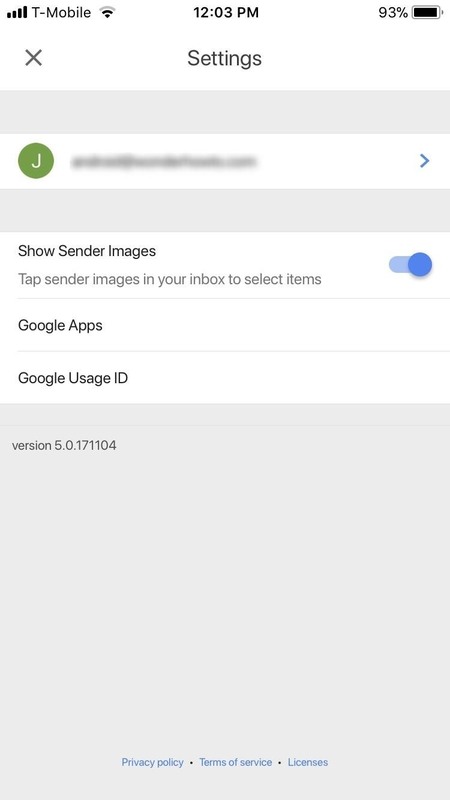 The Gmail app on both Android and iOS has a powerful search engine that helps you find any email with a few keywords. Even more impressive is Gmail's ability to remember previous search queries for future reference. However, this list of past searches can become extensively long and needs to be reset from time to time. The Gmail app has an option to clear the search history that will erase all past queries across all devices, though it's not very easy to find. But whether it's to improve the accuracy of search suggestions or to erase any trace of more "controversial" searches, this feature is worth finding. The process is slightly different on Android and iPhone, but we'll outline both methods below. To erase your search history on Android devices, open Gmail and select the hamburger menu in the upper-left corner of your screen. Choose "Settings" and select "General settings." Press the three vertical dots in the top-right corner of your display and chose "Clear search history." A pop-up will emerge asking you to verify your decision. Choose "Clear" and your search history will evaporate. The steps on iOS devices are slightly different than Android. 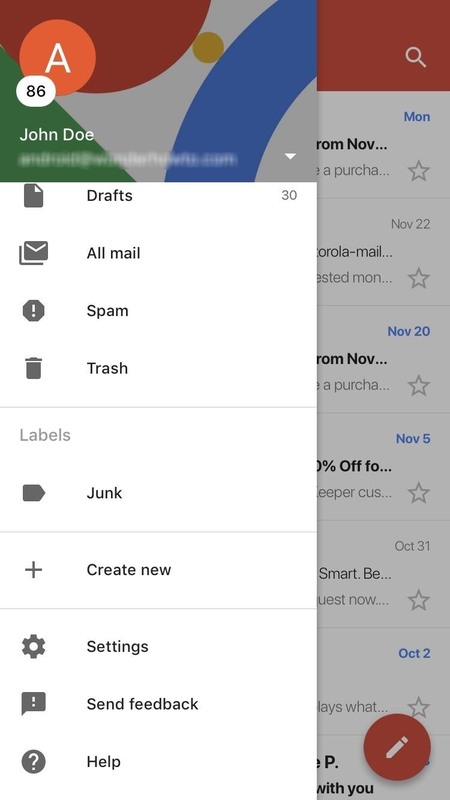 Open up Gmail and select the hamburger menu in the upper-left corner, then choose "Settings" and select your email address. The last option in this new menu under the grouping Privacy will be "Clear search history" — select this option, then choose "Clear" on the popup. A message will appear informing you of your success. This step is the same no matter which operating system you are using. 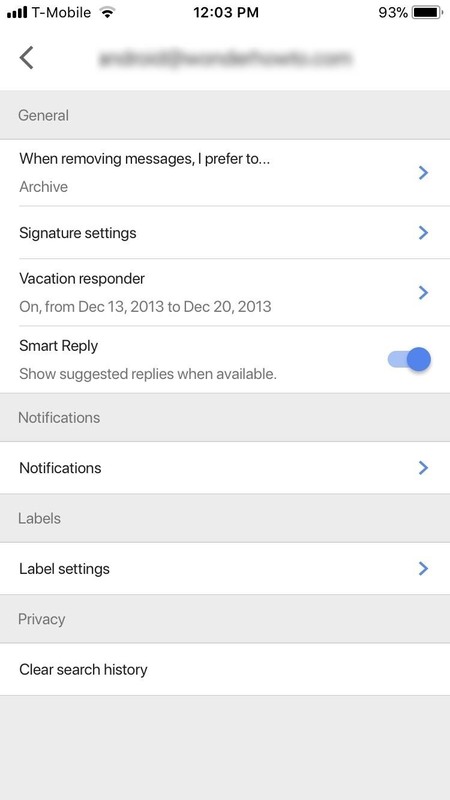 Select the magnifying glass icon in the upper-right corner of your inbox. Try searching for an email with previously used keywords. If done correctly, none of your past search queries will be suggested. Instead, Gmail will only suggest built-in search suggestion (similar to conducting a Google search). Google believes in privacy and has shown this by including this feature in one of their biggest apps. Whether on iOS or Android, finding this feature is fairly easy and should be used often to improve the functionality of Gmail's search engine. Have you used the clear search history feature? Let us know in the comments below.